Michael P. Kozek founded Ween & Kozek with the goal of providing dedicated, high-quality representation to tenants, artists, and entrepreneurs. Mr. Kozek’s practice highlights real estate, trusts and estates, and art law. 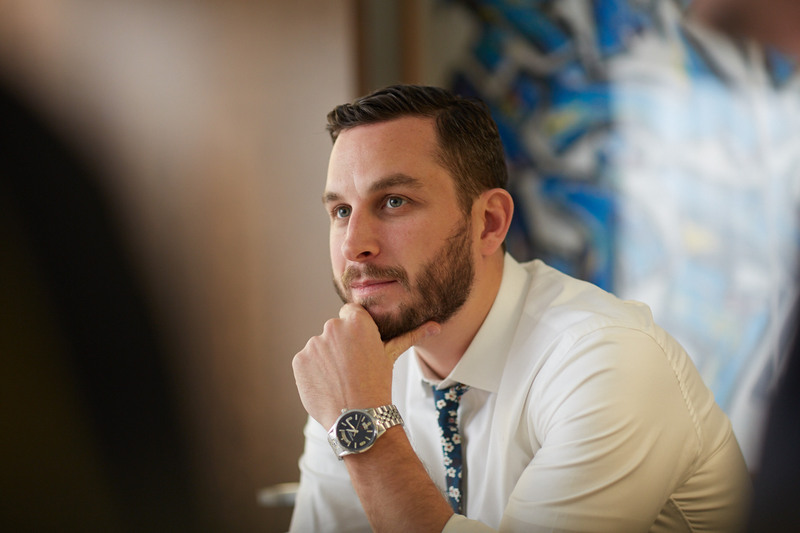 Mr. Kozek’s approach to litigation incorporates vigorous advocacy and application of the law, and the crafting of creative, yet rational and policy-driven arguments that impact the development of the law and future cases. As a litigator, Mr. Kozek practices in the New York State Court of Appeals, Appellate Division, Appellate Term, Supreme Court, and Surrogate's Court, the New York City Civil Court, Housing Court, as well as administrative proceedings before the New York State Division of Housing and Community Renewal, the New York City Loft Board, the New York City Office of Administrative Trials and Hearings, the New York State Division of Human Rights, the New York City Environmental Control Board, the Board of Standards and Appeals, and the Department of Housing Preservation and Development. Mr. Kozek handles all aspects of litigation through trial and appeal, including pre-litigation strategy development and litigation preparation, drafting of initiating documents, discovery, pretrial motions, settlement negotiations, trial, and briefing and arguing of appeals. Mr. Kozek has represented numerous tenants in landlord-tenant disputes, defending tenants from eviction, seeking rent regulation protection under Rent Control, Rent Stabilization and the Loft Law, and recovering damages for rent overcharge. He represents loft tenants, seeking Loft Law protection, and advising and representing them in the complex processes of legalization and transition to rent stabilization under the Loft Law. Mr. Kozek’s real estate transactional practice has included regular handling of real estate purchases and sales, representation of cooperative and condominium boards, and conversion of real property to condominium or cooperatives through the drafting and filing of an offering plan or application for a no-action letter from the New York State Attorney General. Mr. Kozek is a graduate of Brooklyn Law School, where he was a member of the Moot Court Honor Society, participant in the Philip C. Jessup International Law Moot Court Competition, and CALI award winner. While attending law school, Mr. Kozek served as a judicial intern for Hon. Gerald Lebovits, of the Civil Court, New York County, during which time he contributed research for an article entitled Drug Holdover Proceedings: An Overview From "Knew " to "Should Have Known," to "Strict Liability", authored by Hon. Lebovits and Douglass J. Seidman, and published in the New York Real Property Law Journal. PB 165 William Street Holdings LLC v. Sero-Boim and Kurylo, 2019 WL 362682, 2019 N.Y. Slip Op. 50132 (U) (App. Term, 1st Dep't, 2019) (rare case accepting theory that occupants may have become rent stabilized through landlord's waiver. The Court reversed the lower court's dismissal of tenant's waiver defense, finding that landlord's acceptance of tenant's rent for years, giving of rent credits and issuance of rent invoices, and tenant's performance of improvements with consent, and direct dealings with landlord for maintenance, rent and repair issues, created an issue of fact about whether the landlord had waived its right to object to occupants' occupancy and status as rent stabilized tenants. American Package Company, Inc. v. Benjamin Gleitzman, Unreported, Civ. Ct., Kings Co., Housing Part E, Index No. 96702/16 (Hon. Thomas M. Fitzpatrick, Feb. 15, 2017) (in holdover eviction proceeding commenced on the basis that no lease existed between landlord and tenant because tenant did not pay full security or rent under the lease, court dismisses proceeding finding tenant has an enforceable contract where there is no dispute tenant signed the lease, landlord delivered it to tenant fully executed, and respondent was already in possession of the premises). Matter of Stathis, OATH Index No. 0347/15 (July 12, 2016): http://archive.citylaw.org/wp-content/uploads/sites/17/oath/15_cases/15-347.pdf (obtaining a recommendation of Loft Coverage and protected occupancy after an inquest hearing). Matter of Blessing, OATH Index Nos. 2313/15, 011/16, 0012/16, 0013/16, 0014/16, and 0015/16 (July 11, 2016): http://archive.citylaw.org/wp-content/uploads/sites/17/oath/15_cases/15-2313md.pdf (obtaining partial summary judgment stating that the building is an IMD). Matter of Gatien, OATH Index Nos. 2121/13, 1033/14, and 2233/14 (May 13, 2016): http://archive.citylaw.org/wp-content/uploads/sites/17/oath/13_cases/13-2121.pdf (obtaining a recommendation of Loft Coverage after trial holding that Petitioners are protected occupants). Mr. Kozek maintains a blog (nyctenantlawyer.blogspot.com) posting articles regarding real estate litigation and tenant advocacy, wherein he has published several articles relating to such issues as the 2010 amendment to the New York City Loft Law, and the 2011 extension of the rent regulation laws. Mr. Kozek is a regular volunteer at the Housing Conservation Coordinator's free Monday night legal clinic, and as a member of the Volunteer Lawyers for the Arts has represented numerous artists pro bono.